Enjoy gentle daily skin polishing with this hardworking and gorgeously fragranced body scrub. Infused with natural pumice & essential oils, this uplifting & refreshing gel-scrub smooths & refines skin to leave it feeling velvety soft & looking beautifully radiant. Fragranced with our Mande Lular Sanctuary scent. 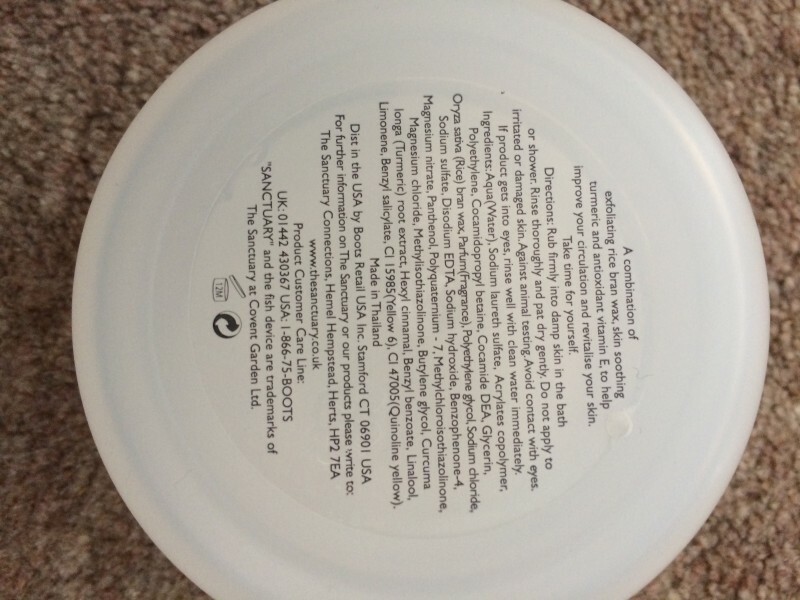 Apply to wet skin an rub in a circular motion then rinse off. 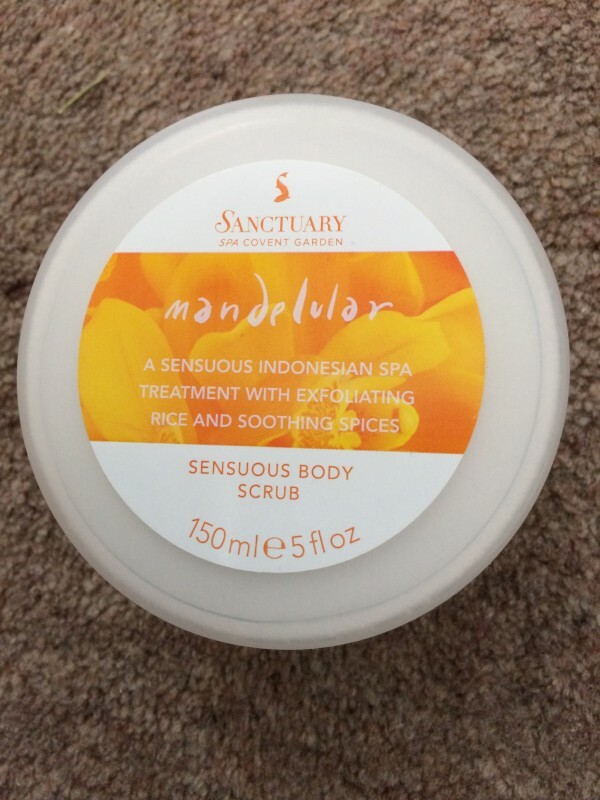 I do like Sanctuary Spa products despite the fact that they could be more natural and this scrub is a really nice effective one that smells great too. 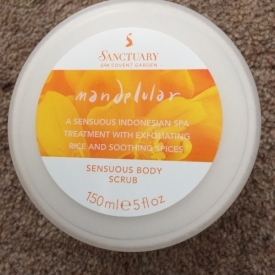 A lovely smelling and effective non drying body scrub from Sanctuary Spa. "I do like Sanctuary Spa products despite the fact that they could be more natural and this scrub is a really nice effective one that..."